Our heart's desire at Wesleyan Woods is to reach out to those in need of our Savior Jesus Christ. We can only accomplish this with your partnership in prayer, monetary giving, and volunteer efforts. As a non-profit 501c3 campground, Wesleyan Woods relies on volunteers to donate their time and energy to ensure many of the seasonal and daily duties are completed. Some of the daily duties include grounds work, cleaning cabins/cottages and restrooms. Moving equipment or repairing equipment is also done daily. It also may include cutting fire wood or clearing the trails. There is always something that needs to be done at the campground and for years, volunteers have stepped up to make sure it was done. Wesleyan Woods has a Volunteer Coordinator to give direction. Please call the office for more information, (989) 823-8840. Thank you to each and every volunteer over the years. We ask that you keep the staff and volunteers in your prayers. We also ask to pray that the campground stays safe and that the campers whether young or old enjoy themselves as they spend time at the campground. "Devote yourselves to prayer, being watchful and thankful. And pray for us, too, that God may open a door for our message, so that we may proclaim the mystery of Christ…. Colossians 4:2-3"
Wesleyan Woods is celebrating over 40 years of ministry. Many have been saved, called into full-time Christian service and ministered to throughout the years. It is expected this year, that many more people will accept Jesus Christ as their savior and make a commitment to God. Please consider making a donation to ensure the ministry continues. 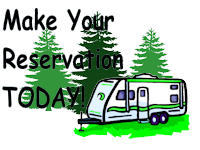 All monetary gifts to Wesleyan Woods Family Campground are tax deductible and a tax receipt will be issued. You can donate today by using the donate button below. People are needed to give $100 to support the 2018 ministry. Please pick up a envelope at the camp office and join the 100 club by giving a $100 tax deductible donation. Your gift is greatly appreciated. During Camp, we’ll be collecting empty pop cans & bottles to turn in for the deposit to raise money to help restock the pond at camp with fish. Adding fish will help control the little fish that sometimes nibble at swimmers and it’ll make fishing for more exciting for those who like to cast a line out. If you turn in cans at home at your local Meijer , bring us the receipt and we’ll add your donation to the “Restock the Pond” fund! There will be a collection receptacle at Gibson and the Front Gate. Cash donations or Meijer bottle slips can be dropped off to the office at the Front Gate.